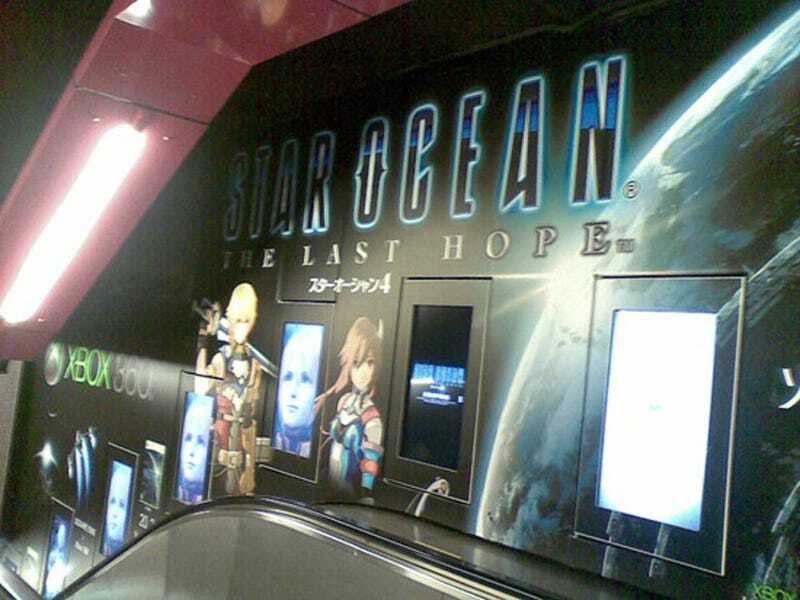 When you think of ways to promote Star Ocean 4, escalators probably don't jump to mind. For shame, because escalators are great. Even better than escalators? Wallpaper and LCD monitors looping Star Ocean 4. This escalator-LCD-screen-game advertising must be a first — we don't recall seeing anything like this. This is fantastic. In case you are interested in seeing it up close and personal, it's located in Hong Kong's busy shopping district Causeway Bay. If you don't live in Hong Kong, then sorry.